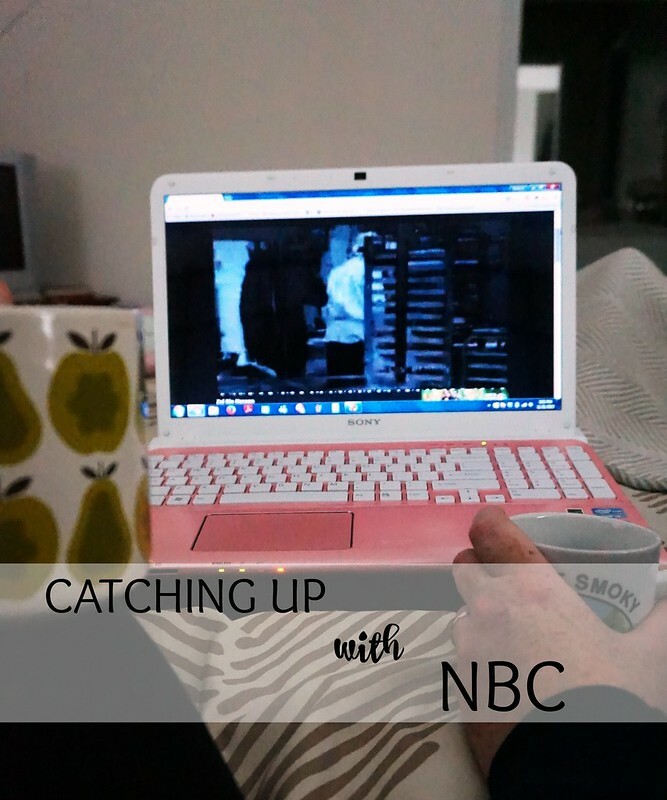 Today’s post is sponsored by NBC, but my love for The Blacklist is all my own! I know I’ve mentioned this vaguely over the past year or so, but Will and I are in a super busy season of our life. He’s been working towards his CPA this year, so that’s meant lots of long hours studying for his exams. We haven’t had a lot of down time lately. One of our favorite past times is watching a good tv show together. We are huge fans of The Blacklist on NBC. In fact, we’ve been hooked since the first episode. James Spader totally makes the show. And this season has been crazy good!! Lately, we haven’t been able to catch the episode on Thursday. So, we’ve been catching up online! It’s been so nice. NBC makes their shows’ latest full episodes available the day after they are. We actually watch it on my laptop, so we can sit wherever we want in the house. We cozy up with our favorite tea and catch up on a few episodes at a time! I really enjoy watching our favorite NBC show wherever we are in the house. Sometimes we put the laptop in the kitchen while we’re cleaning up in the evening and catch up there, too. Are you a big fan of The Blacklist, too? You can catch up on episodes right here!